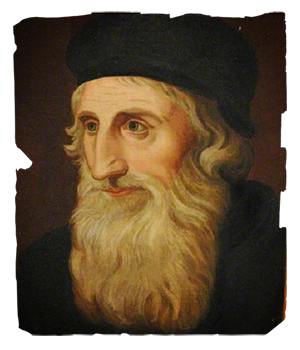 John Wycliffe (1320–1384) was a theologian, seminary professor, Bible translator, reformer, and preacher who produced some of the first handwritten English translations of the Bible. He is known as “The Morning Star of the Reformation.” Wycliffe taught that the Bible alone is the basis for Christianity and should be read by the common people for themselves. He spoke out against corruption and heresy in the Catholic Church, including against the pope and the whole system of ecclesiastical hierarchy. His followers were called Lollards. He died of natural causes, but in 1415, at the Council of Constance, Wycliffe was declared a heretic and in 1428, his body was dug up and burned. His ashes were scattered in the River Swift. 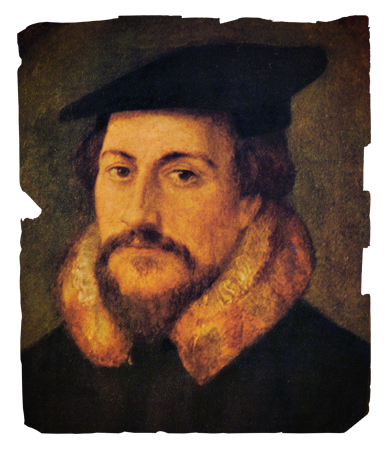 John Calvin (1509–1564) was an influential French theologian, pastor, and reformer during the Protestant Reformation. Driven from his own country by his commitment to Protestantism, he resided in Geneva and established a church that held to the supremacy of God’s law and the Bible. Calvin held high the principles of simple living and purity. 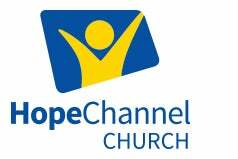 He originally trained to be a lawyer but studied the Scriptures and was convicted by the teachings of Protestantism. He promoted the Reformation throughout Europe until his death. Martin Luther (1483–1546) was a monk, a priest, a professor of theology, and a key figure in the Protestant Reformation. He came to reject many teachings of the Roman Catholic Church, such as the view that purchasing indulgences could free a person from God’s punishment of sin. 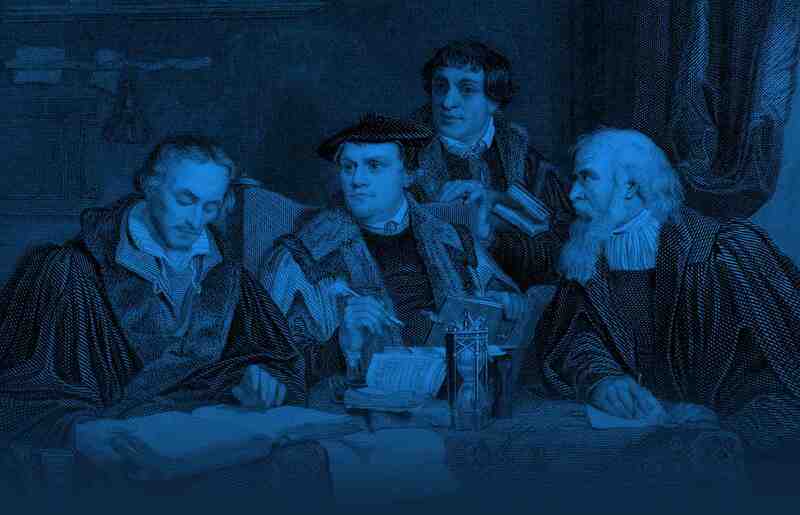 His refusal to renounce his writings at the Diet of Worms in 1521 led to his excommunication by Pope Leo X. Luther held up the doctrine of salvation by grace through faith in Jesus and the Bible as the only divine source of the revealed knowledge of God. He also translated the Bible into the common language, which made a giant impact on the church and German culture. 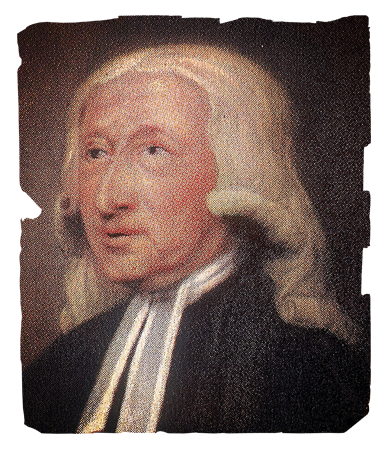 John Wesley (1703–1791) was an English Anglican pastor and theologian who founded Methodism with his brother Charles Wesley and George Whitefield. While attending college, he began a “Holy Club” to encourage others to study and pursue a devout Christian life. After doing ministry in the United States, he returned to London and had a conversion experience when he felt his “heart strangely warmed.” Wesley traveled extensively and often preached outdoors. William Tyndale (1494–1536) was an English scholar and leading figure in the Protestant Reformation up to the time of his execution. Tyndale is best known for his translation of the Bible into English, the first to come directly from the Hebrew and Greek texts. 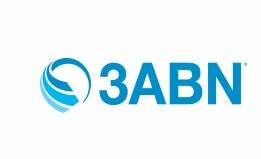 It was also the first English Bible to take advantage of the printing press. 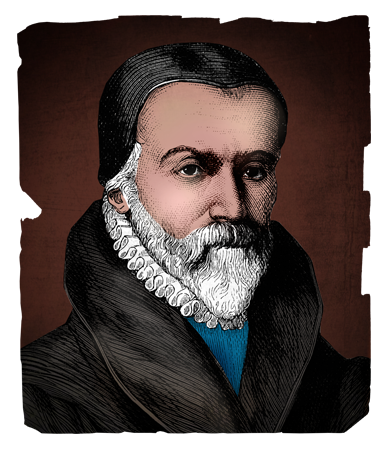 In 1535, Tyndale was arrested and jailed for over a year. In 1536, he was convicted of heresy, executed by strangulation, and burned at the stake. His dying words were, “Lord, open the King of England’s eyes.” Over the next four years, the king ordered four more translations of the Bible in English. And ye in putting them [departed souls] in heaven, hell, and purgatory, destroy the arguments wherewith Christ and Paul prove the resurrection. … And again, if the souls be in heaven, tell me why they be not in as good case as the angels be? And then what cause is there of the resurrection?” —Thomas Russell, A.M., ed., The Works of the English Reformers: William Tyndale, and John Frith, Vol. II, 188, 189. 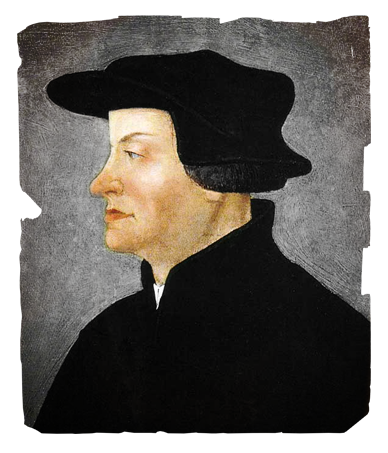 Ulrich Zwingli (1484–1531) served as a pastor and led the Reformation in Switzerland. Born in a simple cottage among the Alps, he early became familiar with God through the book of nature and the Bible stories shared by his grandmother. Zwingli was a brilliant student and was later ordained as a priest. His growing conviction that the church stood in contrast to the Bible led him to speak boldly against unbiblical practices. The Reformation made great advances in Zurich, Bern, and Basel under his wise leadership. 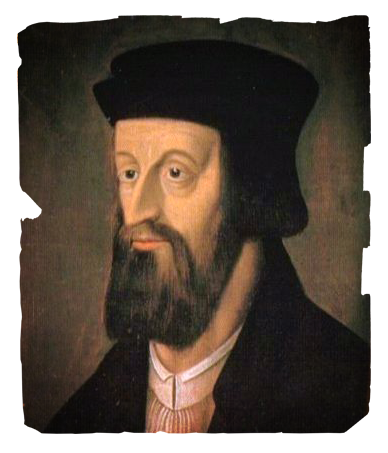 John Huss (Jan Hus) (1369–1415) was a priest, philosopher, dean and rector at Charles University in Prague, church reformer, and a central figure in the Bohemian Reformation. 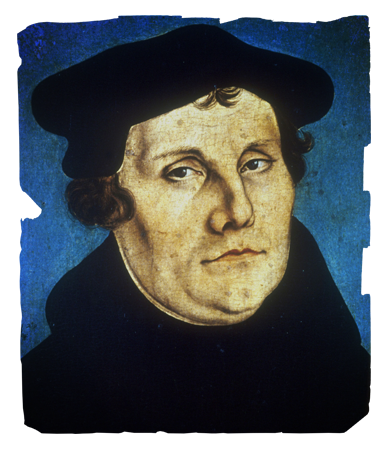 He is considered one of the first reformers and lived before Luther, Calvin, and Zwingli. Huss was burned at the stake for teaching “heresy” against the doctrine of the Roman Catholic Church. 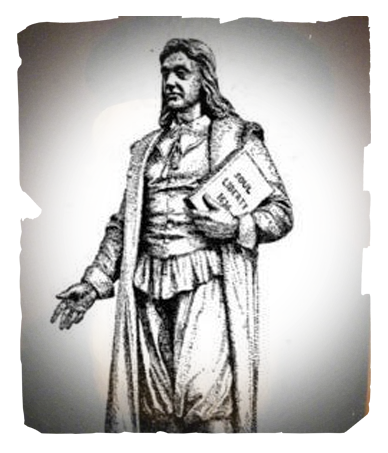 Roger Williams (1603–1683) was a Puritan and later a Reformed Baptist. He was banished by the Puritan leaders from the Massachusetts colony for spreading “new and dangerous ideas.” Williams founded the Providence Plantation where he provided religious liberty to all. He is best known for upholding the principle of separation of church and state. 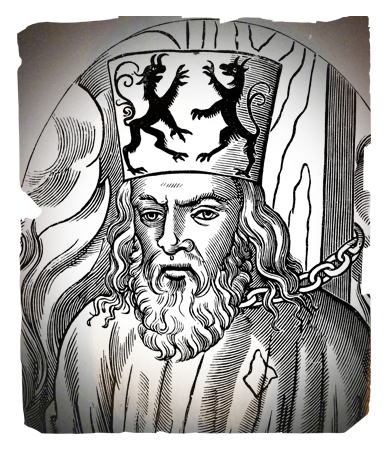 Jerome of Prague (1379–1416) was a Czech theologian, reformer, professor, and a chief follower of John Hus. He studied at Oxford University where he became familiar with—and convicted by—the teachings of John Wycliffe. Jerome spoke boldly against the abuses of the Roman church and was finally captured, imprisoned, and burned at the stake in Constance, Germany.